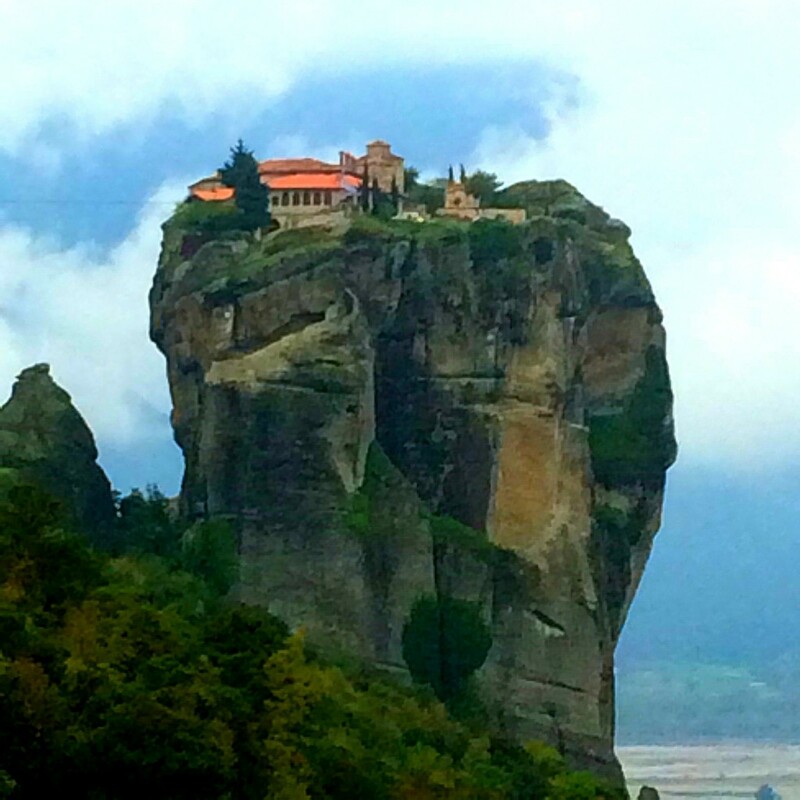 I’ve wanted to go to Meteora, Greece before I even knew where it was. I remember watching the James Bond film ‘For Your Eyes Only’ as a kid and thinking, “Wow that place looks cool”. Fast forward some 25 years later and there I was in Meteora and it was just as cool as I wanted it to be! 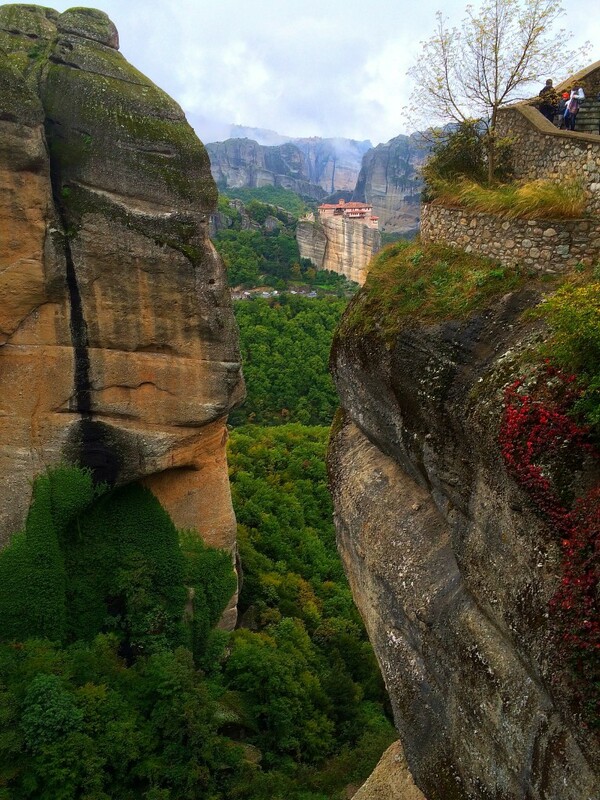 Meteora is absolutely breathtaking. 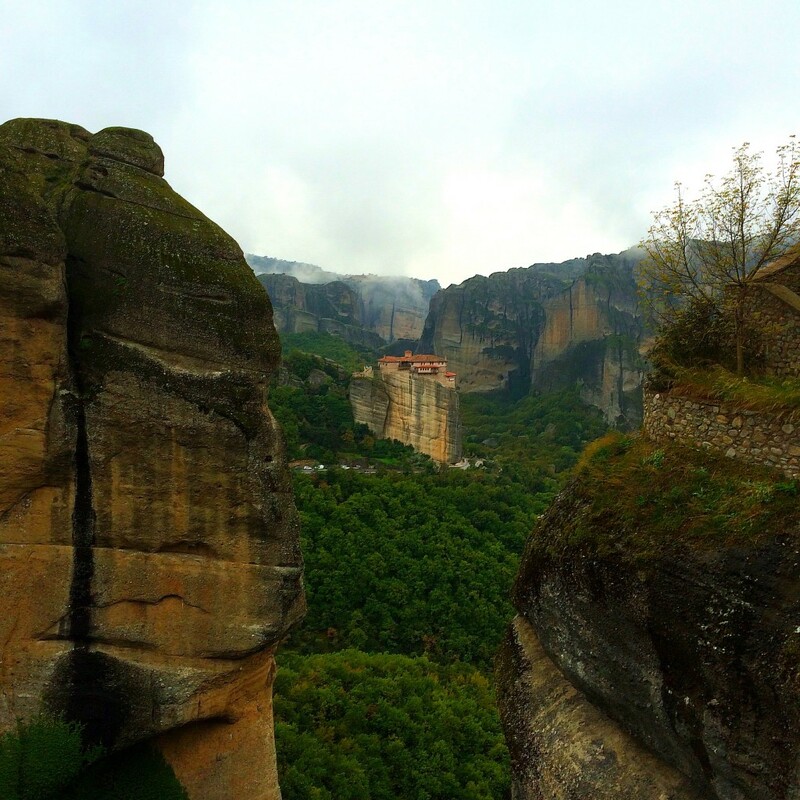 Meteora is otherworldly! 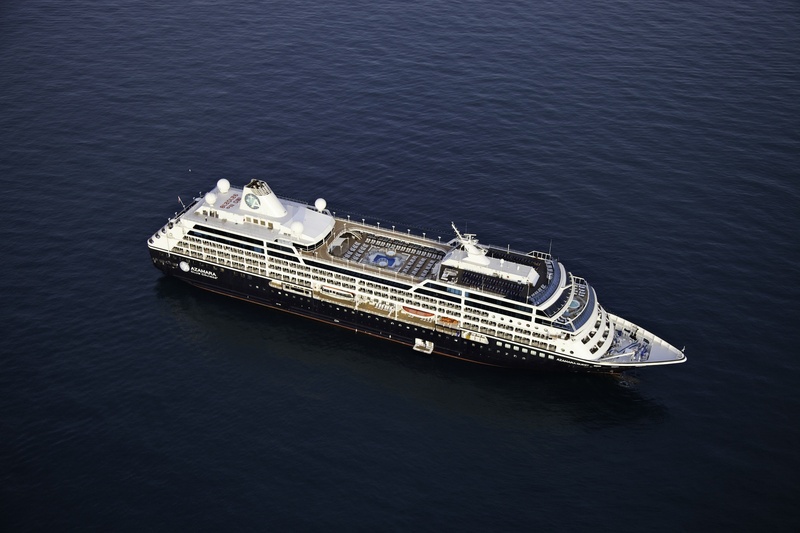 When I first decided to do this cruise with Azamara Club Cruises on the Azamara Quest, there was one destination that stood out to me and that was Meteora. 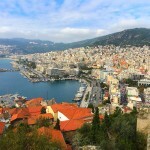 The port town is Volos. I admittedly had never heard of Volos and not many people have for sure. 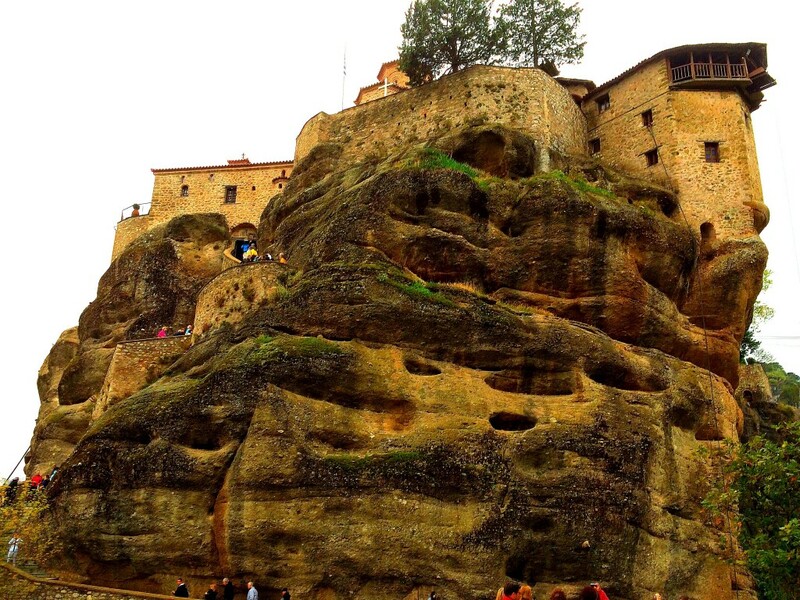 But it’s about a two-hour drive or so to Meteora and well worth the trip! 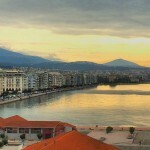 I had been so looking forward to this excursion but when we arrived in Volos, the weather was not good. It has been raining for the last few days on and off and it was very cloudy. 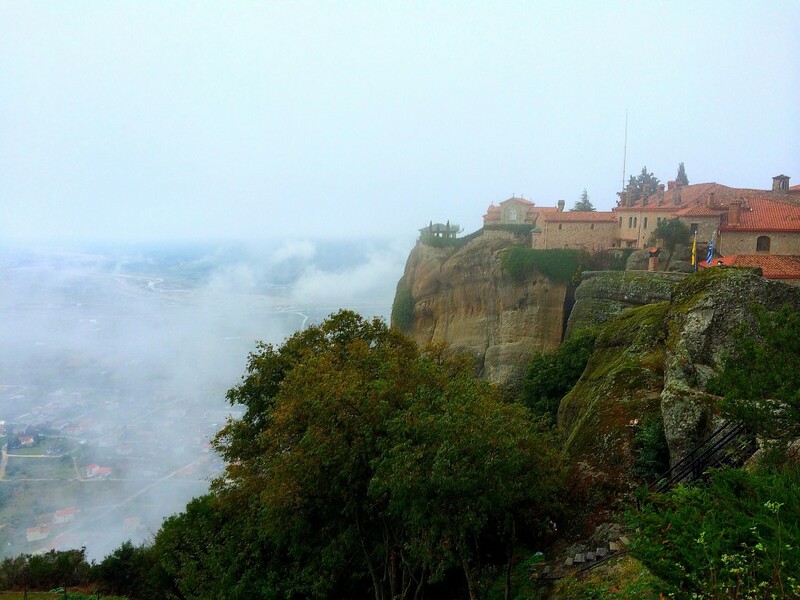 The clouds were low which meant that at the elevation of Meteora there was a chance we’d see nothing at all. I was concerned but stayed positive. 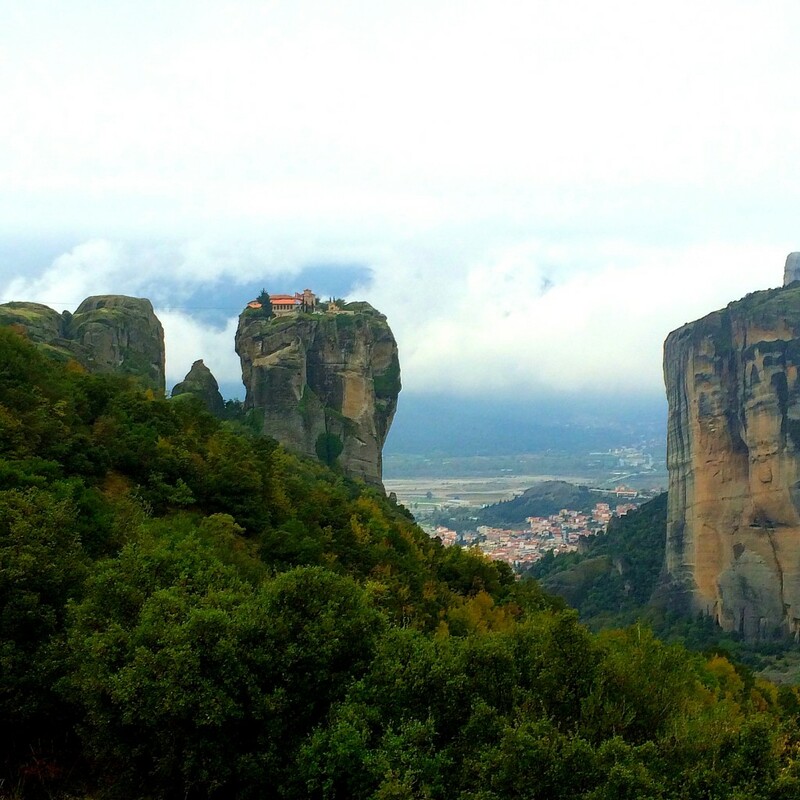 When we arrived in Meteora, you could barely see your hands in front of your face. The clouds were so low that we were in them. You couldn’t see any of the 6 famous Monasteries that dot the sandstone pillars. I was feeling down but was optimistic that the clouds would rise. 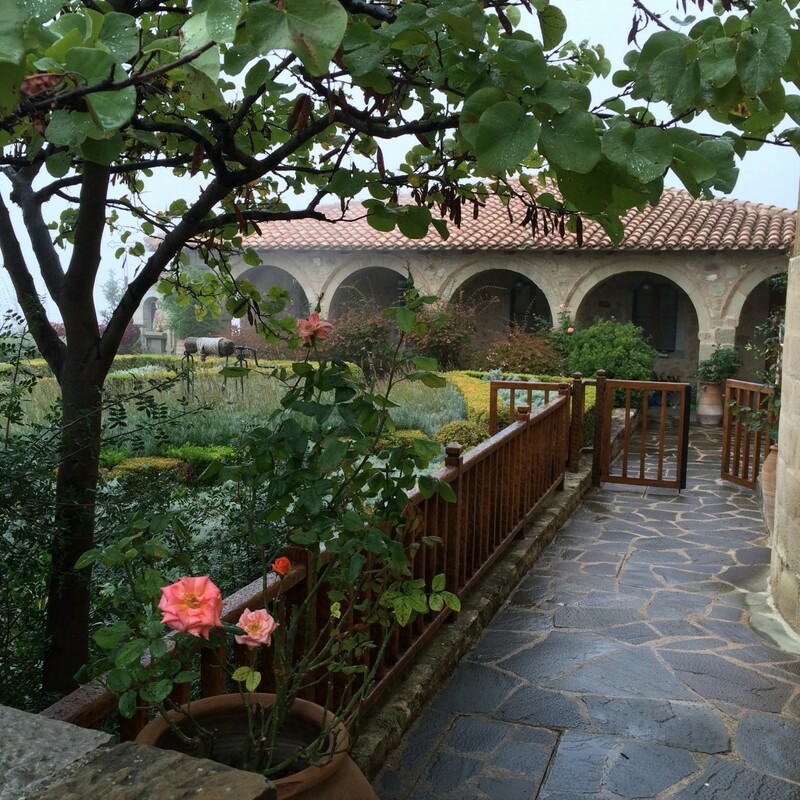 The first Monastery we visited was the Holy Monastery of Saint Stephen. When we arrived the weather was terrible and there were no views at all. Inside the Monastery, it was beautiful, of course. The only issue I had was that there were way too many tourists in a small space so after touring the inside of the Monastery; I headed outside hoping for a break in the clouds. Ironically, I ran into two people I knew at the Monastery. 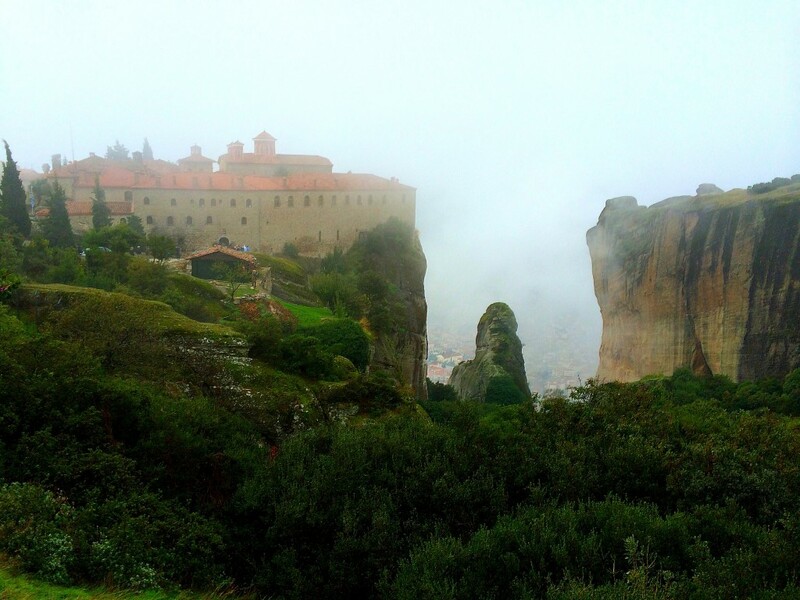 After leaving Saint Stephen and heading to the Holy Monastery of Varlaam, the clouds started to rise and you could see the famous rocks and also the Monasteries. I was so happy I can’t even tell you. The views were phenomenal. Varlaam is a bit of a walk up and there is some construction going on at current but it doesn’t get in your way. When you get up to the Monastery, the views are spectacular. 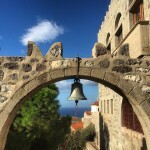 You can see the Holy Monastery of Rousanou and the rocks behind it. Truly fantastic. If you exit Varlaam and head back toward where the busses are parked there is a rock where you can go out on and take even better pictures of Rousanou and also of Varlaam itself. 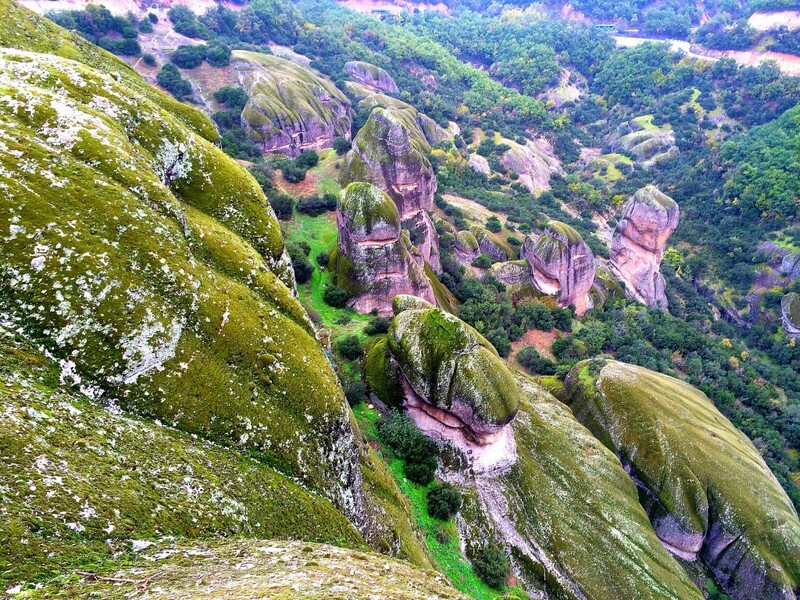 Not to mention the unreal landscapes below and the crazy rock formations that will make you gape in awe. I am serious, Meteora is otherworldly! You can climb out pretty far onto the rocks but you have to be careful as it is pretty slippery and there is a lot of moss on the rocks. But if you are vigilant enough to get out there-you can get a cool picture like this! As we left Varlaam, the driver took us past the Monastery of the Holy Trinity. This is the most famous of the Monasteries because it was immortalized in the James Bond movie. The famous last scene where Roger Moore climbs up and saves the world again! That may be fiction, but what is not is how amazing it looks in person. It’s hard to express in words and the pictures don’t do it justice. 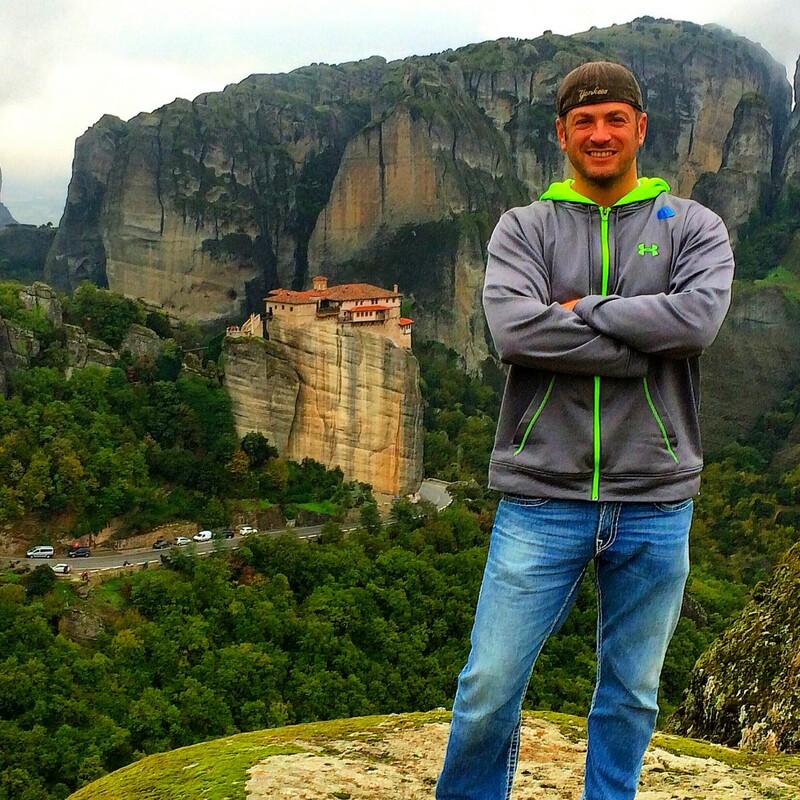 Meteora should be on everyone’s bucket list and I am a guy who hates bucket lists! Meteora is otherworldly, Meteora is spectacular, Meteora is (fill in an adjective here)…the point is you must go because it is that cool. It takes a lot to get me excited and in the past week I’ve had both Abu Simbel and now Meteora to really blow my socks off. Pergamon and Ephesus weren’t too bad either! 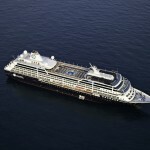 The Aegean Sea area is a great part of the world and is a must for any intrepid explorer and a big thanks to Azamara for making stops at awesome ports! Absolutely stunning. 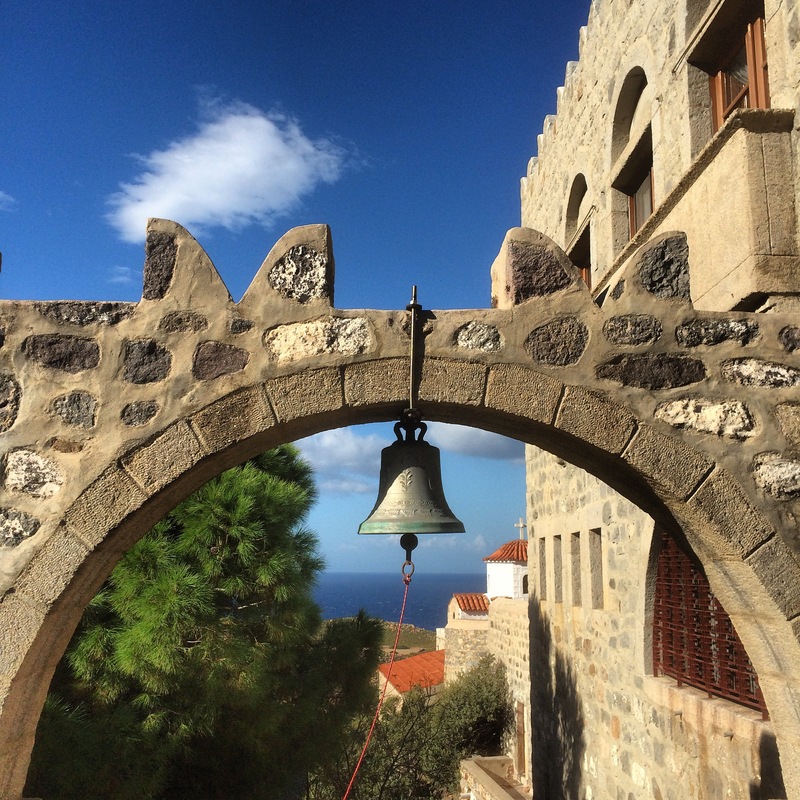 Does it differ much from Mount Athos? I’d love to visit one or both, but for now will just enjoy your pics. Big difference is women can go! Wow. you have come a long way since little league in Trumbull days! Mary, my wife, and my three boys, LT (married in Hickory, NC), Chris (married in Rutland, VT) and Macon (married in Brooklyn, NYC) have all enjoyed your postings and making us nostalgic about Trumbull days. Mary and I were in Meteora and St Stephen a couple of years ago in 2014. We loved it, and Ephesus. Philippi was my favorite. Your postings make me want to get to Pergamon. WOW…blast from the past and thanks so much for commenting Mr. Thompson and so glad to hear your family is all doing well. I will definitely get in touch if I’m in Pittsburgh and thanks again for commenting and I was in Philippi today and will have that post up tomorrow. Take care and tell the boys hi! 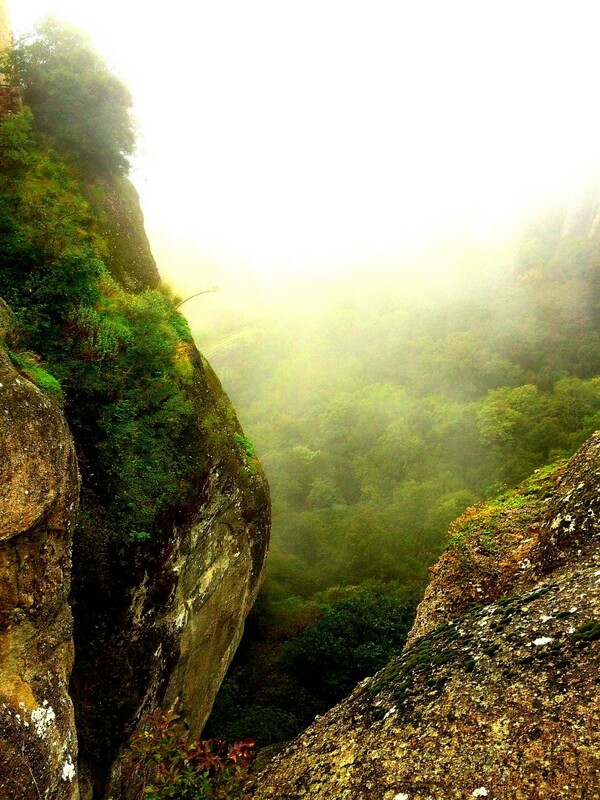 Very heavenly place, the natural place. I like it very much. Heavenly is a good word to describe it! 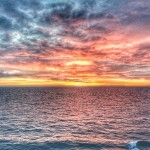 Awesome pics, Lee! I had never even heard of this place. Awesome to see places like this when you think you’ve ‘seen it all’ in Europe. Good post. Ya Ryan, this place was awesome and ya no matter how much you’ve seen, there’s always more…been wanting to get here forever. 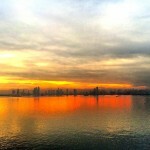 Your pictures are amazing! I am going in December … I can’t wait. I’m excited for you Rebekah! Never heard of this place but I know where I’m going on my next trip! Glad I could assist in your travel plans! Amazing pictures and it sounds so cool. 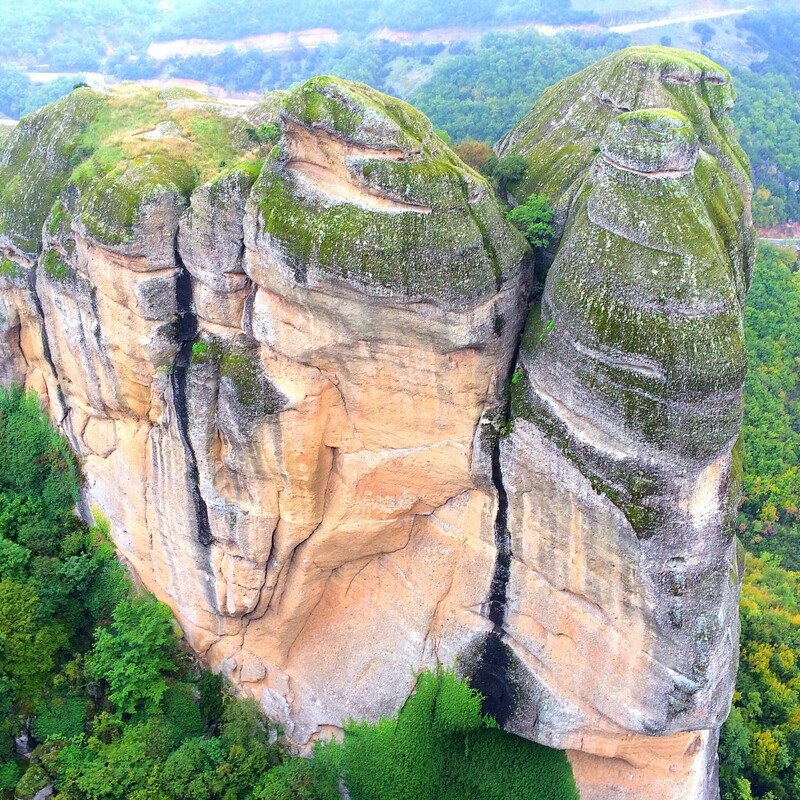 I just googled Meteora and blown away. Do you recommend a cruise around Greece or flying/train? I’ve never been to Europe but want to go next summer. Hey Travis, it really depends what you want to see and do but cruising is great for the islands and port towns along the Med for sure! I was there almost exactly four years ago (and before that about 30 years ago). Stunning indeed and being a James Bond location makes it that much better. And it’s funny that you say “other worldly” since “Meteora” comes from the word “meteor” because the ancient Greeks thought they were meteors that Zeus had thrown down. I hope you get to spend more time in Greece in the future. I’m half Greek so I’m probably biased but my wife and I spent three months there and I absolutely love it. 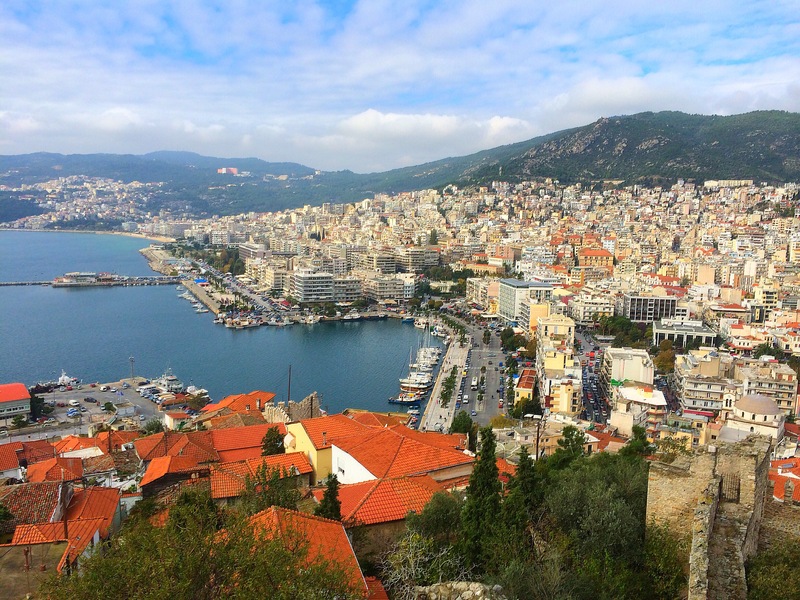 Get down to Nafplio next time you’re there. Mark, it’s a great country and I love coming here each time! The food alone if nothing else! Wow!! !, Never knew such a place exist, Meteora is absolutely mind blowing, Hailing from the Indian mainland, i really wish i could make it to Meteora one day!!!! Forgot to mention, Lee, you are rocking!!!. Keep going…. 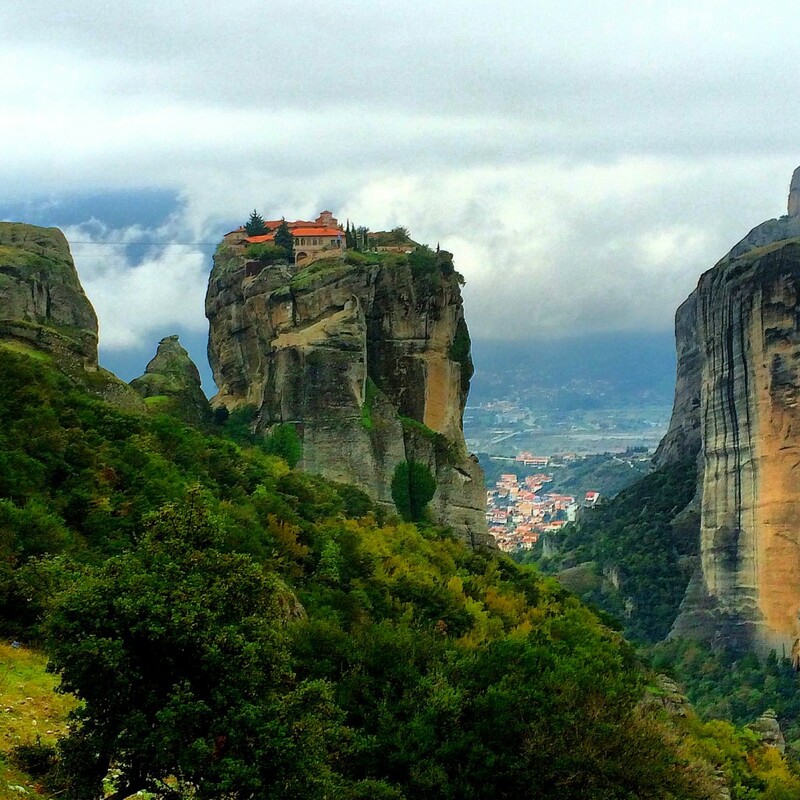 Looks like some awesome adventures and experiences in meteora. Can’t wait to make it there one day. Everything looks so beautiful in your photos! It is very interesting blog post.